What Other Books Did “Jerry West” Write? 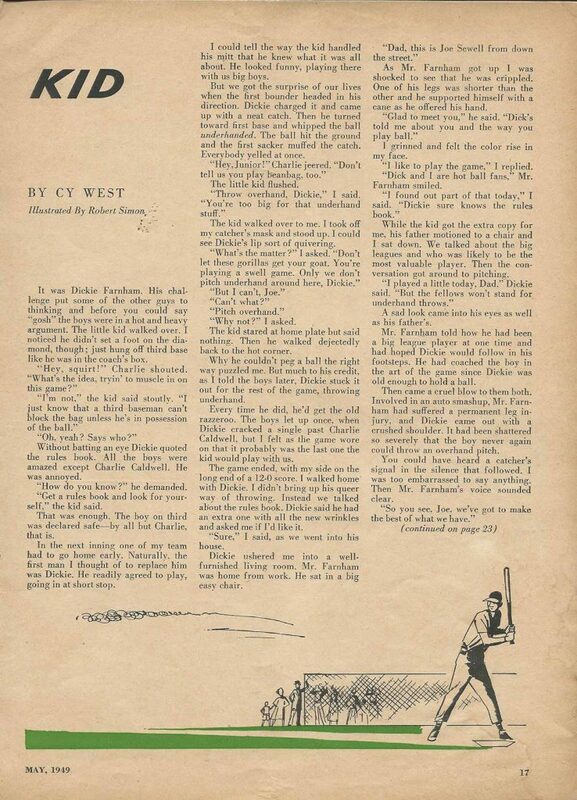 If you’re a baseball fan as well as a fan of the Happy Hollisters, you’ll be interested to know that “Jerry West” was writing baseball stories before he started publishing The Happy Hollisters. Jerry West was just one of the many pseudonyms used by author Andrew Svenson, who was a newspaperman, freelance writer, and an avid sportsman. In the late 1940s, he used his knowledge of baseball to write “The SmokeBall Kid” under the pseudonym “Cy West.” This short story, which was eventually published in The Open Road, a magazine for boys, told the story of pitcher Dickie Farnham, who overcame a physical disability and learned to throw a special kind of fastball. The success of “The SmokeBall Kid” encouraged Svenson to begin the Mel Martin Baseball Series by “John R. Cooper” (another pseudonym, like Jerry West and Cy West). 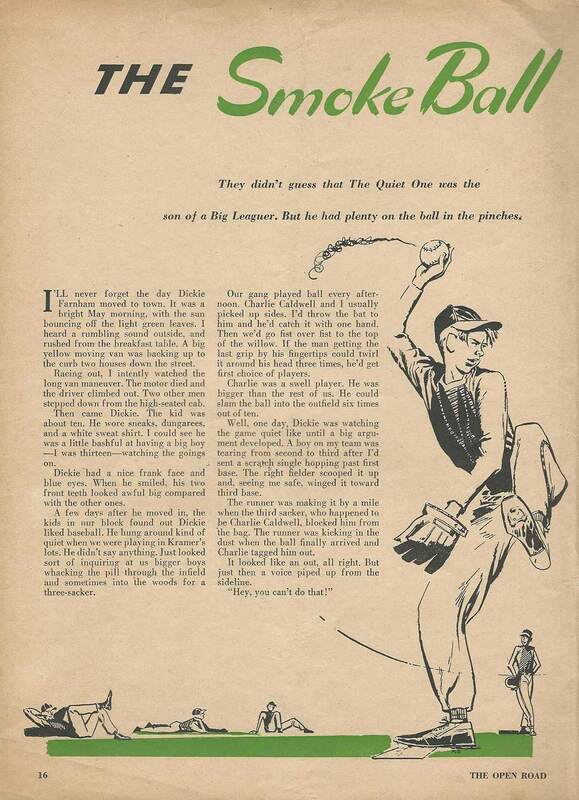 The intent of the series was to combine baseball and mystery, and the first book in the six-volume series was The Mystery at the Ball Park, published in 1947. Mel Martin is described in the jacket copy as a “young right-hander with a quick-breaking curve, plenty of hop on his fastball, and good control when the going gets tough, the main figure in this action-packed series. “The Wright twins, Lefty, the first baseman, and Righty, the stocky, hard-hitting catcher, are Mel’s best friends, together with Hobart Ball, an outfielder whose rifle-like throw to the infield have earned him the nickname of “Speed.” Mel’s Uncle Robbie, a former big leaguer, helps the boy develop his pitching form while “Pop” Korn, coach at Westwood High, somehow manages to turn out year after year a strong, spirited team which wins more than its share of league championships. Loaded with excitement and fast-moving action, these books are full of “inside baseball”—plays and strategy of major league caliber. Not long after Andrew Svenson completed The Mystery at the Ballpark, he joined the Stratemeyer Syndicate (packager of the Hardy Boys, Nancy Drew, and the Bobbsey Twins) as a full-time writer, tasked with outlining, writing, and rewriting the Hardy Boys as “Franklin W. Dixon.” He started writing the second volume in the Mel Martin Baseball Series, The Southpaw’s Secret and completed about ten chapters before contracting the mumps. The Mel Martin project was turned over to several other writers to complete and eventually came to include four additional volumes: The Phantom Homer, The First Base Jinx, The Fighting Shortstop, and The College League Mystery.